Extend the longevity of up to 75x of your 8 x 10" prints with this 13.5 oz spray can of PremierArt Print Shield Protective Coating from Premier Imaging. It helps eliminate gloss differential as well as block UV light for a 2x greater lightfastness. Another benefit is the reduction of scuffing and the fact that it is lacquer-based makes it compatible with all media types. Additionally, it has be tested and received a Wilhelm certified seal. 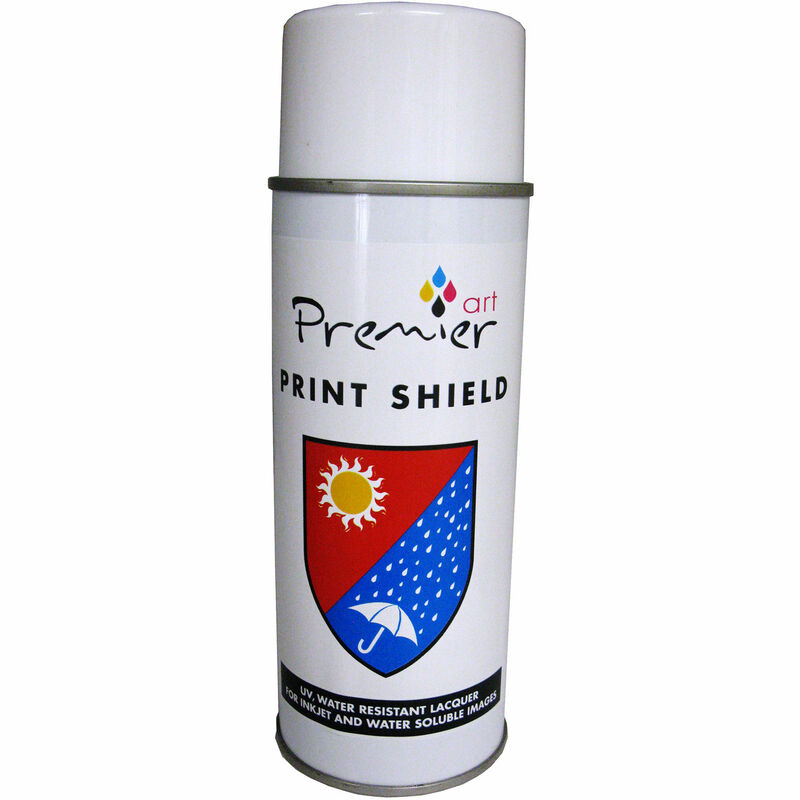 Box Dimensions (LxWxH) 7.8 x 2.6 x 2.6"
PremierArt Print Shield Protective Coating Spray Can (13.5 oz) is rated 5.0 out of 5 by 1. Rated 5 out of 5 by Brian from Clear, High Quality Protection Easy to use and crystal clear. I was concerned that it could be seen if the light bounced off the print at just the right angle. It's invisible. The odor lasts only a couple of minutes, but is gone as soon as the product dries, so you can spray outside and bring the print in within minutes. I know it's protecting the print because I've gotten (vegetable based, water soluble) mounting adhesive on prints, and it comes right off leaving no marks IF the print has been sprayed, but damages the surface if the print has not been treated. I now use this for all my prints.